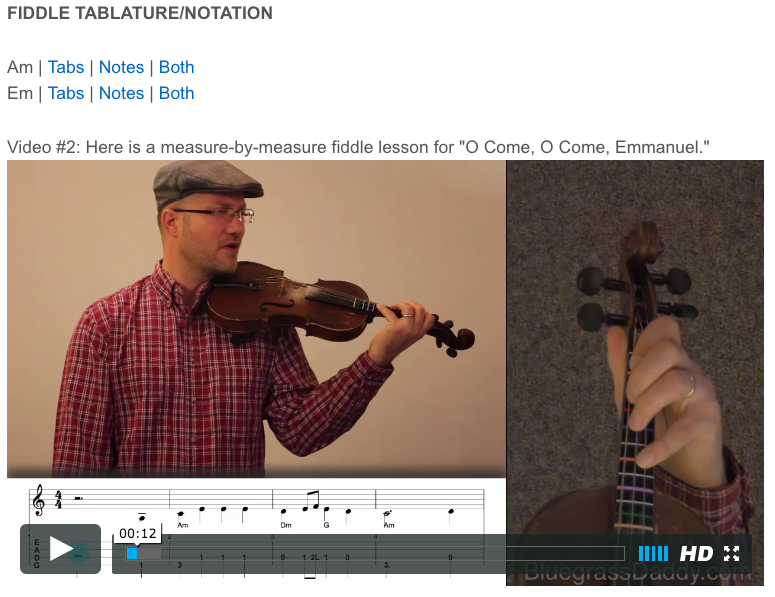 This is an online fiddle lesson for the Christmas carol "O Come, O Come, Emmanuel." 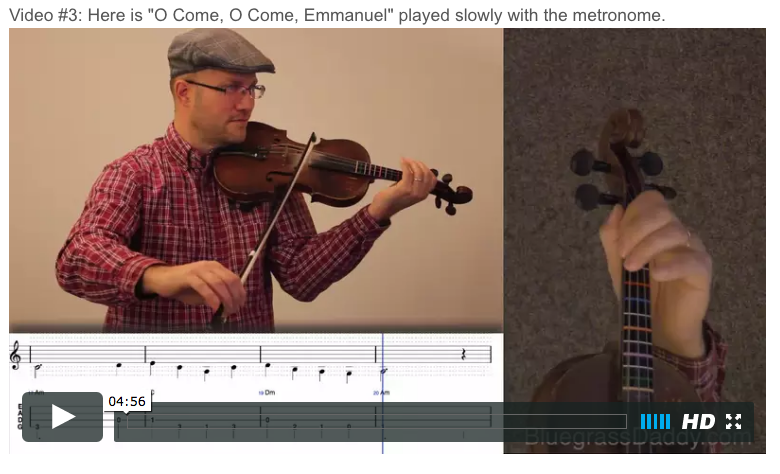 Video #1: Here is a video of me playing the Christmas carol "O Come, O Come, Emmanuel." " see this website 600 mg neurontin O Come, O Come, Emmanuel" is a Christian hymn for Advent and Christmas. It is a translation of a Latin hymn, Veni, Veni, Emmanuel, itself a metrical paraphrase of the O Antiphons, a series of plainchant antiphons attached to the Magnificat at Vespers over the final days before Christmas. The 1861 translation from Hymns Ancient and Modern is the most prominent, by far, in the English-speaking world, but other English translations also exist. Translations into other modern languages (particularly German) are also in widespread use. 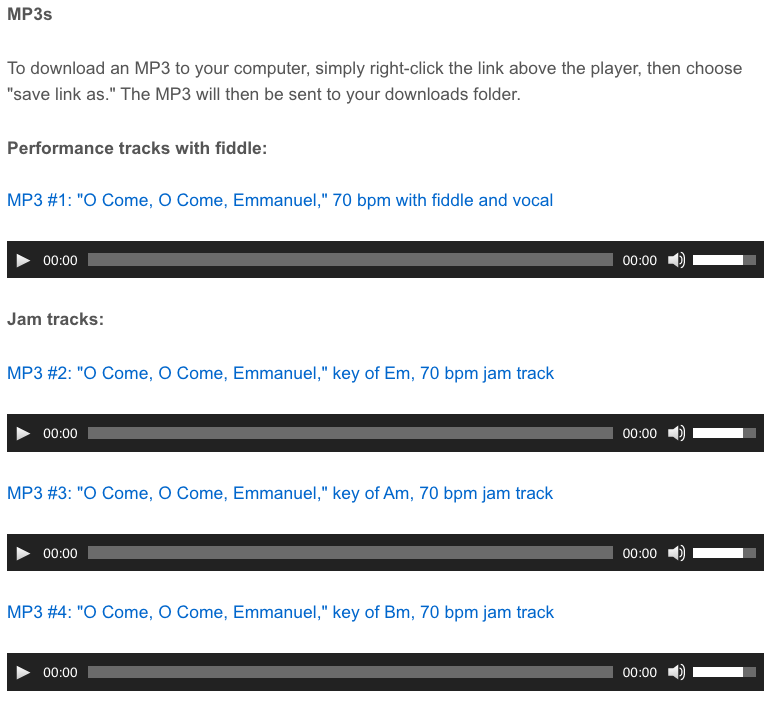 The words and the music of "O come, O come, Emmanuel" developed separately. The Latin text is first documented in Germany in 1710, whereas the tune most familiar in the English-speaking world has its origins in 15th-century France. While "O come, O come, Emmanuel" is often linked with the 12th century, the earliest surviving evidence of the hymn's text is in the seventh edition of Psalteriolum Cantionum Catholicarum, which was published in Cologne in 1710. That hymnal was a major force in the history of German church music: first assembled by Jesuit hymnographer Johannes Herringsdorf in 1610 and receiving numerous revised editions through 1868, it achieved enormous impact due to its use in Jesuit schools. Posted in Beginner, Gospel, Holiday	Tagged with: "O Come Emmanuel" "gospel fiddle" "Christmas fiddle" "online fiddle lesson" "BluegrassDaddy" "John Cockman"